Team Falcon pilots make a statement bringing home hardware this weekend! 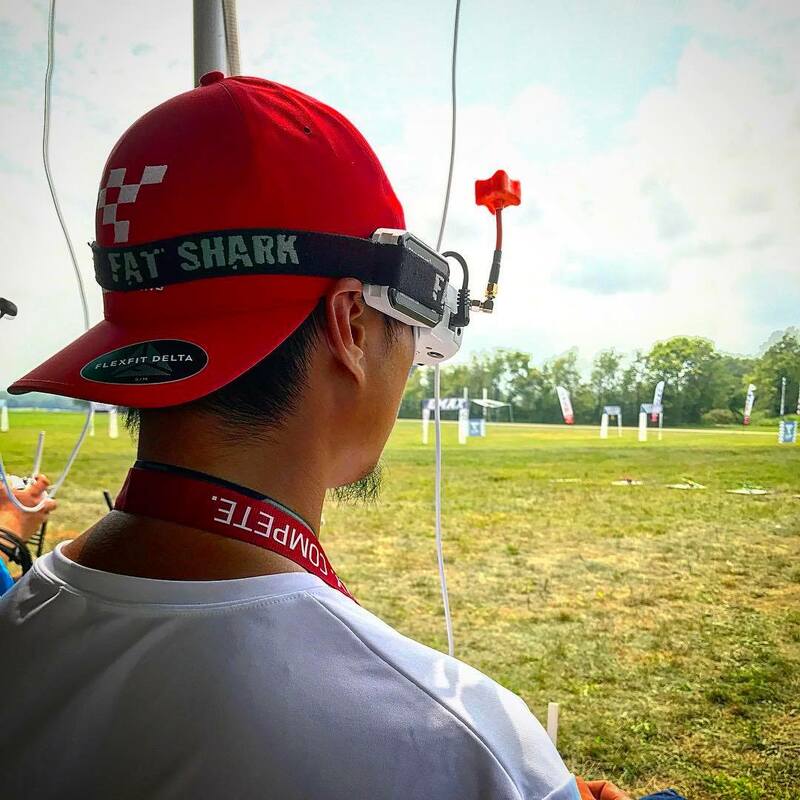 This past weekend, FPV pilots from all over the world gathered at the AMA Headquarters in Muncie, IN. for the largest FPV event to ever take place! 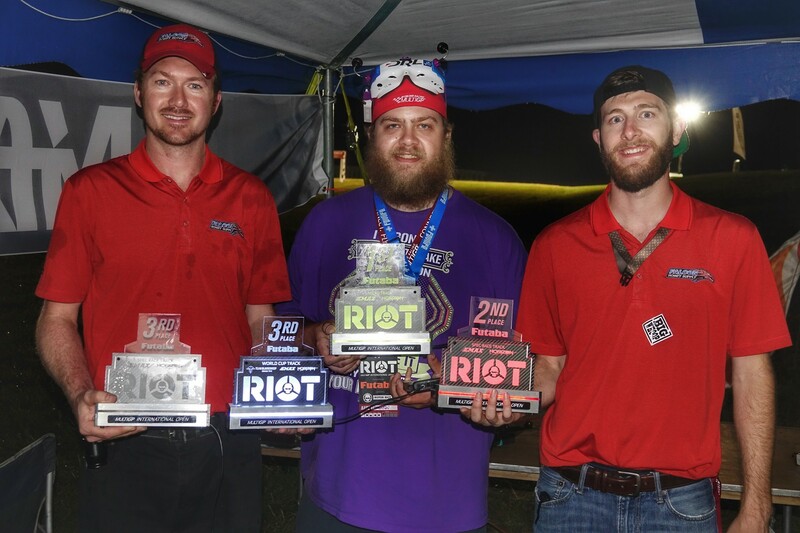 The MultiGP Rotor Riot International Open consisted of 8 different FPV tracks, and four full days of fun competition. From team racing to spec racing, and even a battle course, this event had it all! Team Falcon came ready to race and made a statement this weekend, walking away with the largest combine cash purse for all pilots in the team! 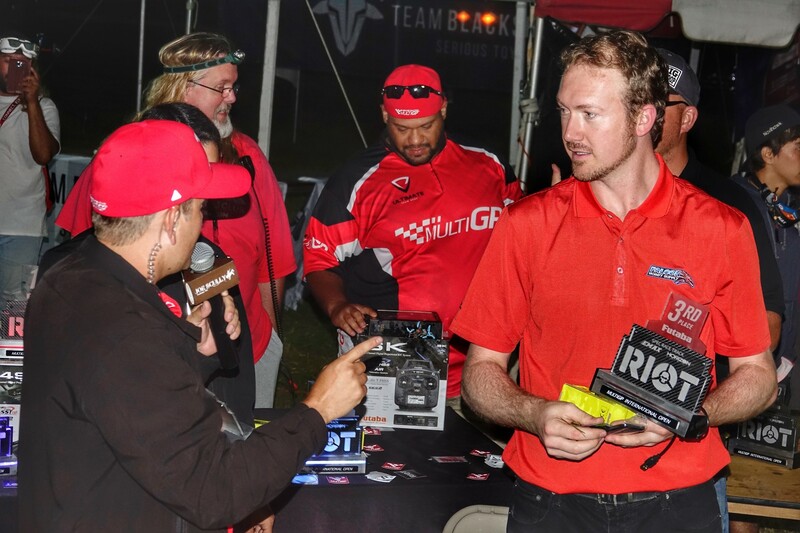 Jerrod Quillen (jrod_fpv), who has been having a break out season, put himself on the map against the top FPV pilots in the world, finishing 3rd in the World Cup race. He also finished 3rd in the Spec Race, bringing home some serious hardware and prize money! Anthony Kuhns (AKnumbers), also had an impressive (and exciting) weekend of racing. After narrowly making the final gate in the qualifying round of the World Cup, Anthony advanced to the finals to snag a 5th place finish. 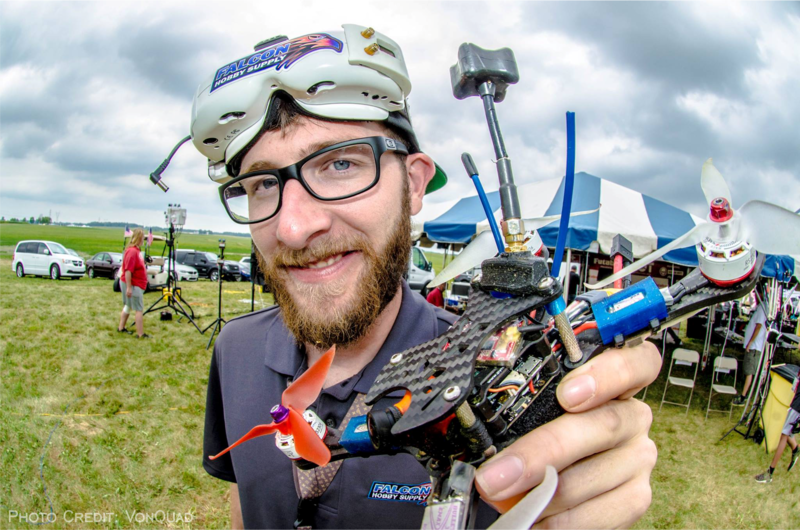 He, too, has proven that he can run with the fastest FPV pilots in the world! Zach Carlson (FalconX) rounded out the successful weekend for Team Falcon by finishing 2nd in the Spec Race. The Spec Race is a unique event that truly tests each pilots' skills, as each quad is "spec" or set up identically, which evens the playing field and gives pilots a chance to really show what they've got! FalconX also finished in the Top 32 in the World Cup. 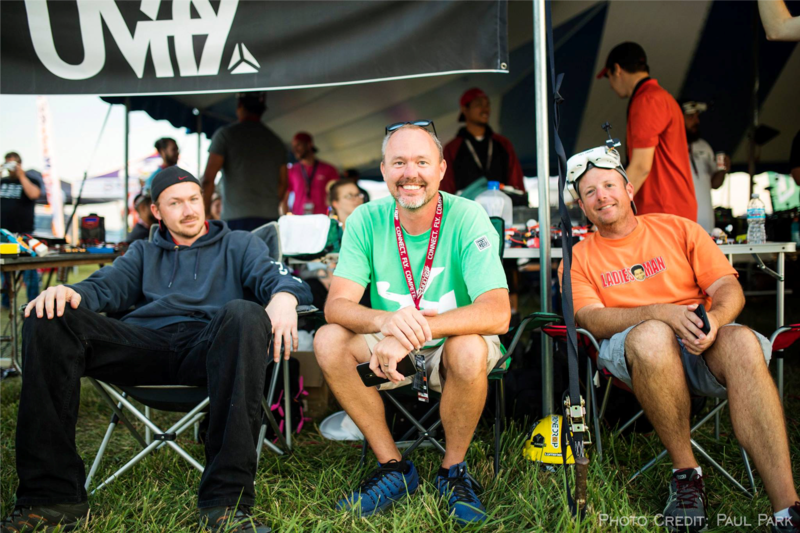 Matt Loven (FazedFPV) served as an "honorary" Team Falcon FPV pilot for the weekend, competing in the Team Race. He also placed 4th in the Spec Race and finished in the Top 16 in the World Cup. This event was the first ever Team Race for Team Falcon. The team consisted of the four pilots above as well as two support staff (below). 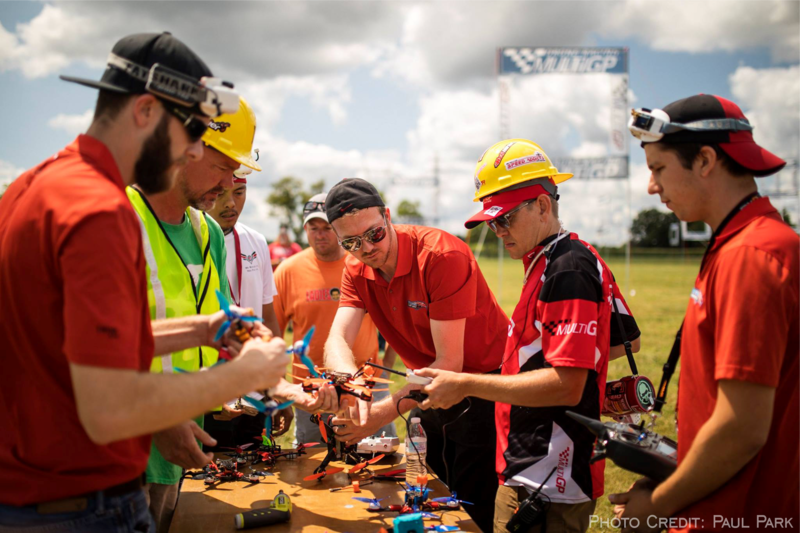 Unlike majority of fpv racing, this team race combine endurance, skill, and strategy as the pilots attempted to get as many laps as possible in 20 minutes. Each pilot had to get at least 20% of the total laps for a team, which required the entire team to think on their feet and make sure they met such requirements. Overall, Team Falcon finished 6th in this event. We are very pleased with the effort these pilots and crew put forth, especially considering this was their first time competing in the team setting! A special thanks also goes out to Nick White & Brad Ryan for crewing our Support Staff for the Team Race!